What Does Nutrition Have to do with Carpal Tunnel Syndrome? Al Roker recently underwent emergency carpal tunnel surgery in preparation for his Broadway debut in “Waitress.” Roker has been grappling with carpal tunnel syndrome (CTS) for the past several months and was in dire need of relief. CTS affects somewhere between 4-10 million Americans and is one of the most common treatable nerve disorders. “It had just gotten progressively worse to the point where Thursday, I lost use of my thumb during rehearsals,” said Roker last week. The always jovial and iconic weatherman says he’s now feeling great and joked that he is “enjoying all the attention” he’s getting a day after he went in for the emergency carpal tunnel surgery. Al’s bandage came off in time for him to make his debut as Joe, the owner of a diner featured in Sara Bareilles’ hit Broadway musical “Waitress”. So What is Carpal Tunnel Syndrome? Older and middle-aged adults are more susceptible to the syndrome than younger individuals, while women are three times more likely to suffer from CTS than men. Symptoms of CTS includes pain, numbness and weakness in the parts of the hand supplied by the median nerve. People with CTS may complain of “pins and needles” in the thumb, index and middle fingers and half of the ring finger, as well as pain in the wrist. It may interfere with hand strength and sensation, and cause a decrease in hand function over time. Other conditions, such as arthritis, tendonitis and other nerve involvement disorders may need to be ruled out before diagnosing carpal tunnel syndrome. Most people think that CTS is caused solely by excessive typing or overuse of the wrist and hands. While prolonged exposure to vibrating hand tools, awkward positioning of the wrist to your keyboard and even playing golf can all exacerbate CTS, they may not be central to the cause of the syndrome. Does Nutrition Play a Role in Being Proactive with CTS? Vitamin B6 plays an integral role in several metabolic pathways that involve nerve function and may significantly benefit those that suffer from CTS. One study reported by the National Institutes of Health (NIH) suggests that vitamin B6 treatment improves clinical symptoms in CTS patients, and may be recommended for CTS treatment. Many patients attempt to treat their symptoms with vitamin B6 supplementation. But this is not recommended. Vitamin B6, at less than 200 mg daily, is not likely to cause any adverse effects, but going over that dosage could be harmful. It is wise to seek the advice of a competent healthcare professional to evaluate your nutrition status and recommend relevant options for you. One option is to take a nutrient test to determine whether you are deficient in certain vitamins like vitamin B6 and other nutrients. Bananas. This deliciously portable fruit is commonly famous for its potassium content, but it packs a sizeable dose of B6 too. As an added bonus, bananas are high in fiber and low in fat. Avocado. This green buttery gift is high in vitamins B6 and C, plus fiber and healthy fats. Make sure you let yours get ripe before you slice into it. Avocados are perfect sliced into salads, but nothing beats a classic guacamole. So don't ignore that pain in your wrist. With early diagnosis of CTS, you can most likely rely on exercises and nutritional therapy to alleviate the problem to avoid going under the knife. Primary care doctors are helpful in advising patients about B6 supplementation regimens. 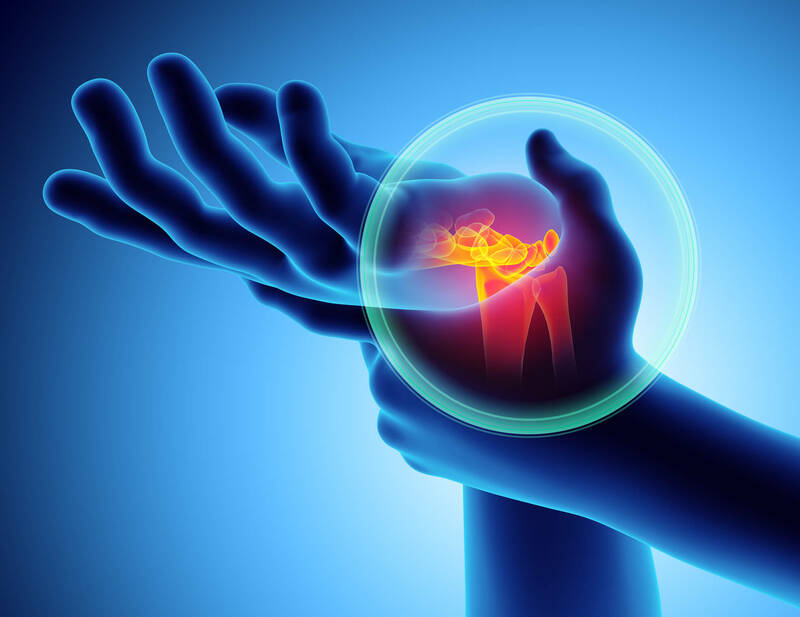 Many patients will opt for conservative treatments that involve nutrition and supplements rather than more radical treatments, such as carpal tunnel surgery.